“Since the passage of House Bill 2 on March 23, attention has focused on North Carolina and how it treats its estimated 336,000 LGBTQ residents. HB2 was nicknamed “the bathroom bill” because it requires people to use restrooms in government-run buildings that correspond with the gender on their birth certificates – thus barring many transgender residents from public restrooms that match their identity. But the law goes beyond bathrooms. In what critics call the most anti-LGBTQ legislation ever enacted, HB2 abolished a Charlotte ordinance that added sexual orientation and gender identity as protected classes, the same as race, age, religion and gender. 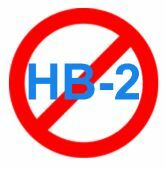 HB2 also banned local governments in the state from passing their own non-discrimination ordinances. The story goes on to, among other things, explore the obliviousness of HB2 sponsor Rep. Dan Bishop and Gov. McCrory for their insensitive and ignorant remarks about the reality of life for LGBTQ people. “In defense of HB2, an expert witness for the state wrote in a court document that gender identity that doesn’t match gender at birth is a mental disorder which can be reversed with therapy. The article concludes with a painfully detailed exploration of the stories of several individuals subjected to hate, discrimination and threats because of their sexual orientation — some of whom have ended up losing their lives. Let’s hope Gov. McCrory and other pro-HB2 politicians muster the courage to read this important work of journalism. Click here to read it yourself.